Buddhist stupas are sacred Buddhist sites that attract large numbers of tourists due to their architectural beauty. 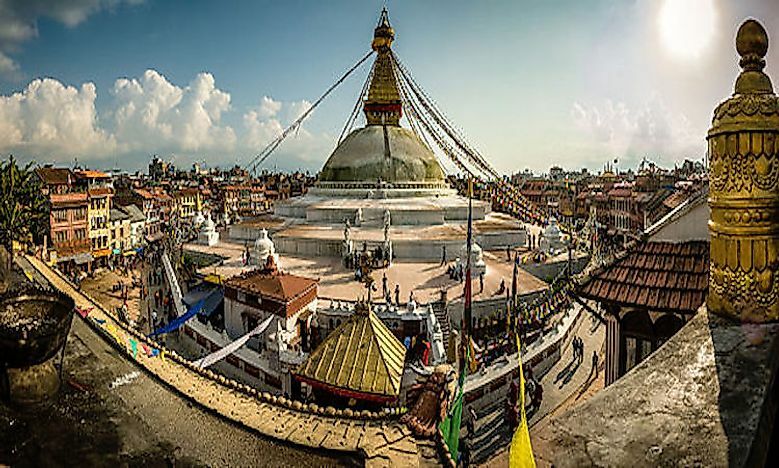 The Swayambhunath Stupa Of Kathmandu Val​ley is a famous pilgrimage and tourist site in Nepal. A stupa is a Buddhist monument usually built to commemorate certain events in a Buddha’s life, to keep important sacred relics, and for burying the remains of monks and other saintly personalities related to Buddhism. The construction of stupas dates back to the 2nd or 3rd century when they were mainly mounds of earth used for burying the Buddha. A majority of these stupas wore out over time. More durable stupas were first constructed during the 4th century. Basically, there are five types of stupas based on the functions they are created to serve. The relic stupas serve as Buddha and the disciple’s burial place, the object stupas which house the objects of sacred importance to Buddhism that belonged to the Buddha or his disciples. The commemorative stupas are built in memory of the important events of a Buddha’s life or that of his disciples, symbolic stupas symbolise various religious components of Buddhist theology, and votive stupas which are built in sites of the most visited stupas. 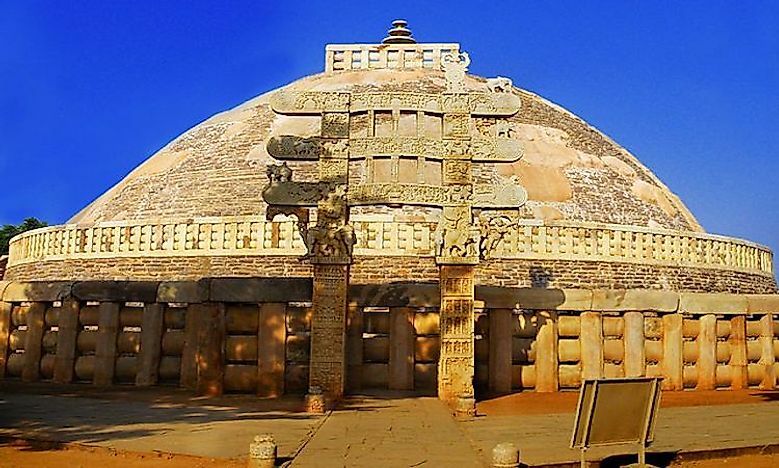 The Great Stupa is the oldest known Stupa built in the 3rd century BCE. The stupa is made from stone with a cylindrical bottom and a solid hemispherical dome. The stupa has some inscriptions and symbols, the statue of a Buddha and a variety of sacred decorations. The stupa is surrounded by elaborately decorated gateways (four) and a railing. The stupa was built over Buddha’s relics. The stupa went through a series of improvements and additions from the time it was first constructed in the 12th century. During the early Sunga period, the stupa is said to have been demolished but was later reconstructed by the emperor’s son. The stupa was rediscovered in 1818 by a British historian. The conditions of the stupa and the surrounding monuments were restored after years of archaeological exploration during the 19th century. 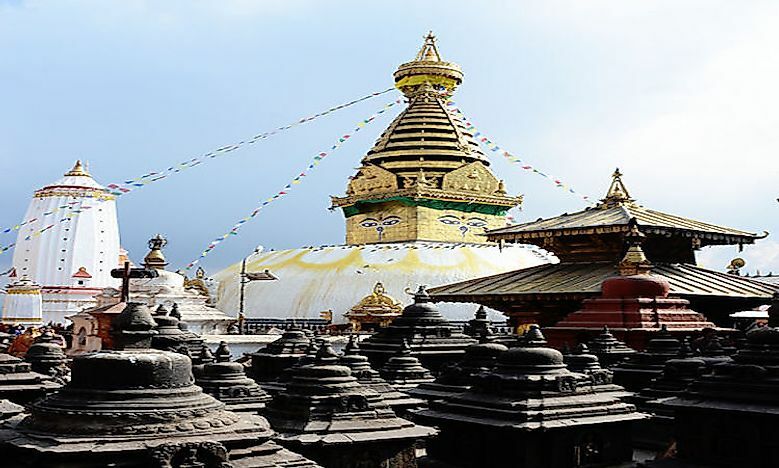 The Stupa and its monuments were named the UNESCO world cultural heritage sites in 1989. The Boudhanath Stupa is located in Nepal and is one of the largest stupas in the world built around 590-604CE by King Sivadeca. The stupa is surrounded by myths about its construction among them the Padmasambhvana Buddhism, the myths of the Holy Stupa and the Tibetan Buddhist mythology. The stupa housed the remains of Buddha Kassapa after his death. The stupa has a height of 36m, a hemispherical dome, a broad mandala, two Buddha eyes above the dome and a series of thirteen steps above which is an umbrella and the pinnacle. It is believed that circumambulations around the stupa after a sin give one another chance to atone for their sins. The stupa was famous to Tibetan traders and other Buddhists who rested there to make prayers. The Tibetans have constructed about 50 monasteries around the stupa. The stupa acquired the UNESCO World Heritage Site status in 1979. 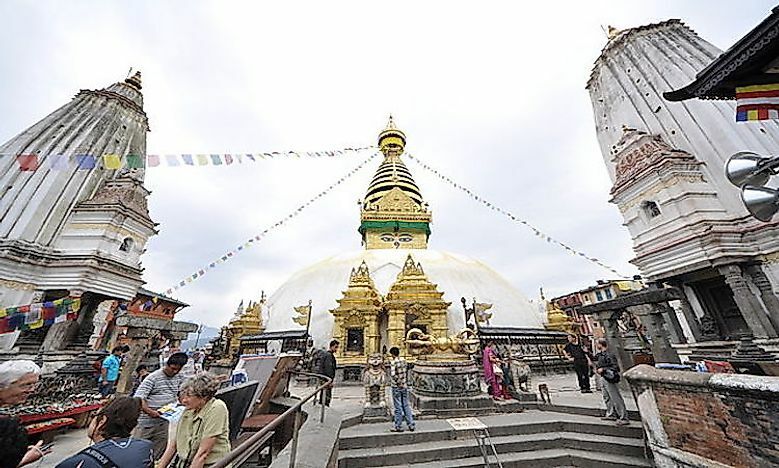 The stupa had to be repaired in 2015 after the strong earthquake that hit Nepal in 2015 which destroyed the structure above the dome. 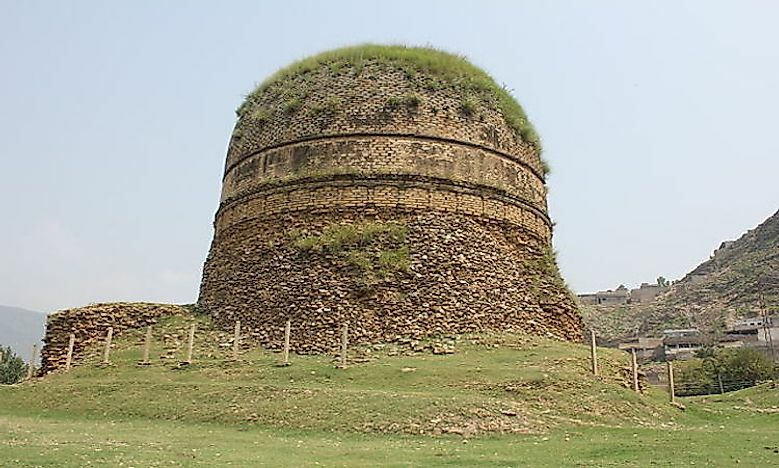 The stupa is located in Amaravathi, India and was first built in the 3rd century BCE. Its ruins were discovered by a British archaeologist in 1797 after which more archaeological excavations led to the destruction of the remaining section of the stupa. The bricks that had formerly been used in the construction were used by local people to construct their houses. Major Colin Mackenzie, the archaeologist who discovered the Amaravathi ruins started the recovery process in 1816 by first sketching the plan of how the stupa looked like before its damage. Sculptures and other valuable artifacts were taken from the site and kept in the Madras Museum, and others moved to the British Library. The site is placed in the protection of the Archaeological Survey of India. The Buddhist stupa in Kathmandu valley is an ancient religious site founded around the 5th century CE. The stupa has a dome above which is a cubical structure with Buddha’s all-seeing eyes facing all directions. The stupa is home to a large number of artifacts. At the base of the stupa are several Buddha statues and five Buddha carvings at each of the four corners. Most Buddhists and Hindu pilgrims revere the stupa and have to make circumambulations every morning in a clockwise direction. Around the stupa are some shrines and temples some of which are centuries old. The stupa has undergone some renovations with the latest being in 2015 after the Nepal earthquake. The Dhamek stupa was initially built for burying penitents in a seated position. 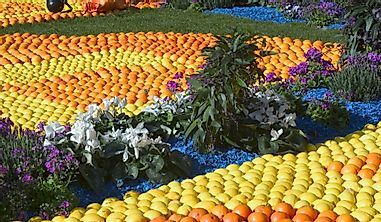 Buddha’s ashes were cremated and buried under eight separate mounds and two others for the embers and the urn. 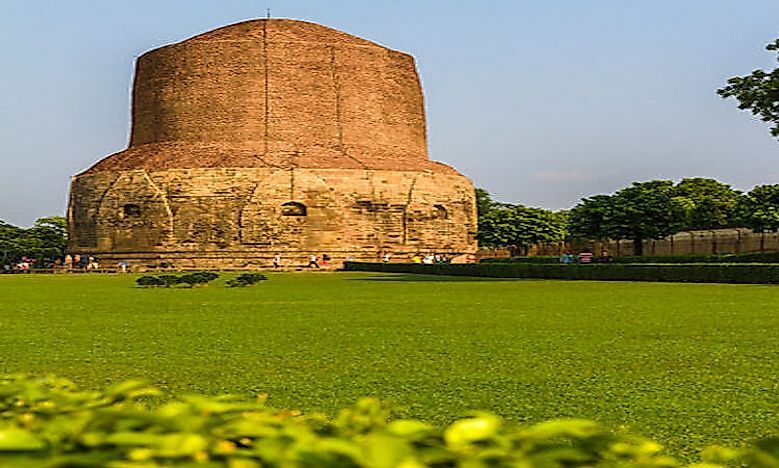 The Dhamek Stupa was built in 500CE to commemorate Buddha’s activities in the region. The stupa was built as a large circular mound surrounded by large stones. The Dhamek Stupa is the place where the Buddha, after he became enlightened, first preached to his five disciples. Though the stupa has been enlarged severally, the upper parts remain unfinished. 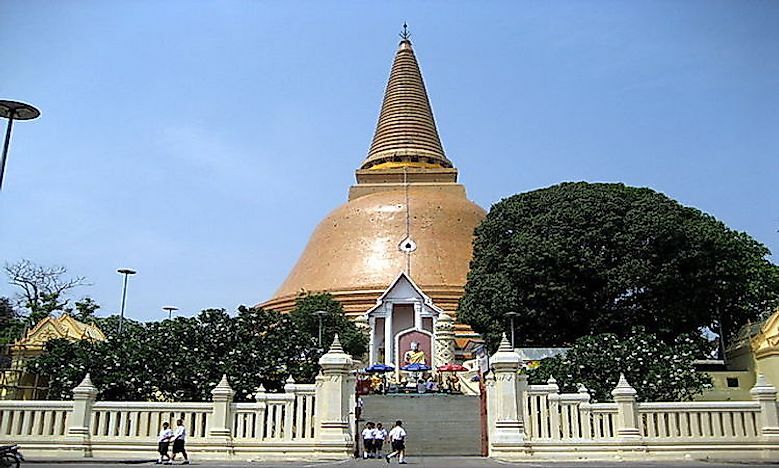 The Phra Pathommachedi stupa is the tallest in the world at the height of 395ft and circumference of about 236m. The stupa is a temple that was built around 193BCE. Archaeologists date the stupa to around the fourth century though its first mention in the Buddhist scriptures was in 675. 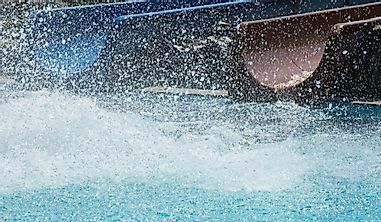 There are several legends surrounding the construction of the stupa among them the legend of Phya Gong and Phaya Phan. The ruins of the Stupa were discovered by a monk in 1831who was denied permission to restore the Stupa. 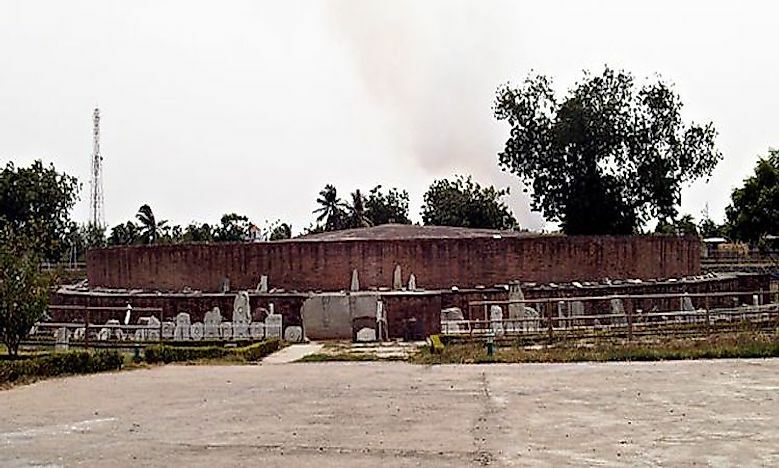 The Stupa was later rebuilt in 1832 in a Sri Lankan style, and a new temple was also built. 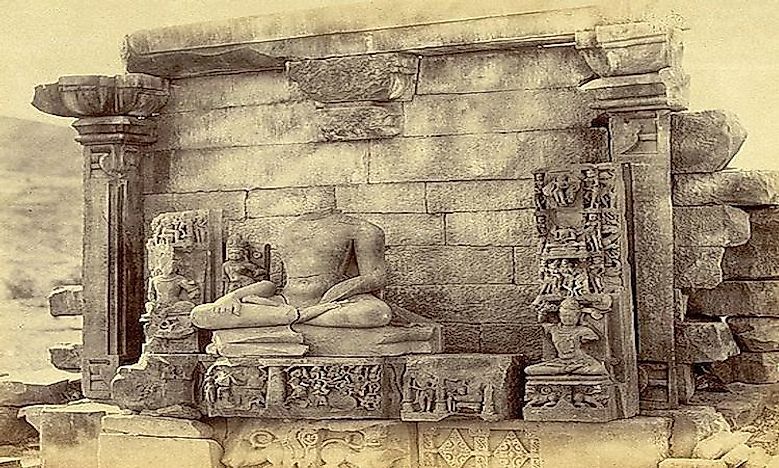 The stupa was constructed by King Ashok in the third century although artifacts started being kept in the stupa during the Shunga period in the second century. The stupa has been extensively destroyed with only the founding pillars left standing. Parts of the stupa’s railings and the gateways are preserved in the Indian Museum at Calcutta. 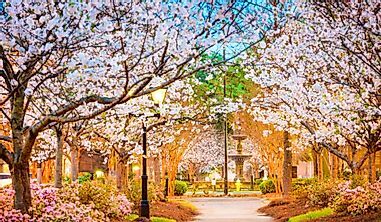 The site was excavated by Alexander Cunningham recording the work in the form of photographs. The stupa was built between the 3rd and 4th centuries. The original dome of the stupa has never been destroyed unlike most of the other stupas. The stupa was built by a king of Swat to store his relics of Buddha. The monument is one of the remains of the monuments from the Buddhist era which number up to a thousand. 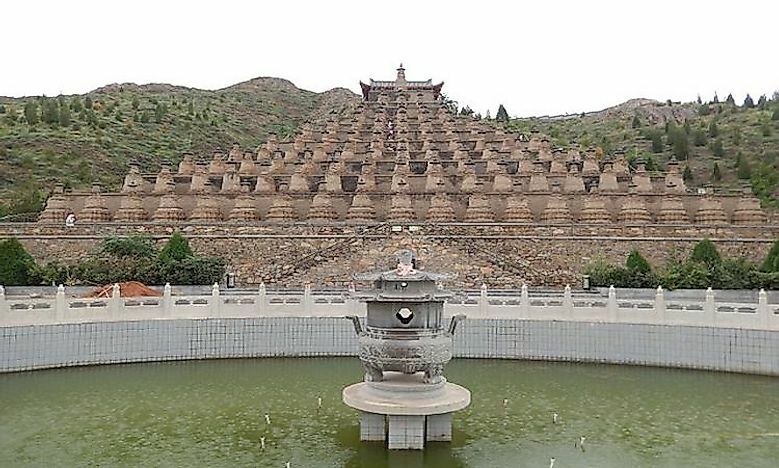 The array of these Buddhist stupas was constructed by the Western Xia. The stupas are arranged in twelve rows, each with an odd number of stupas.The number 108 and the odd numbers are significant in Buddhism. These stupas have undergone a series of renovations over the centuries thus they have lost some of their original characteristics except the location and organization; the height, width, and form have changed. The area surrounding the stupas has been made a tourist site with reception facilities as well as an exhibition which has documented the history of the stupas. Borobudur stupa was built in the 9th century as a Buddhist temple during the Sailedera Dynasty. The temple has more than 200 relief panels and about 500 statues of the Buddha. The monument serves as both a shrine for the Buddha as well as a pilgrimage place for the Buddhists. 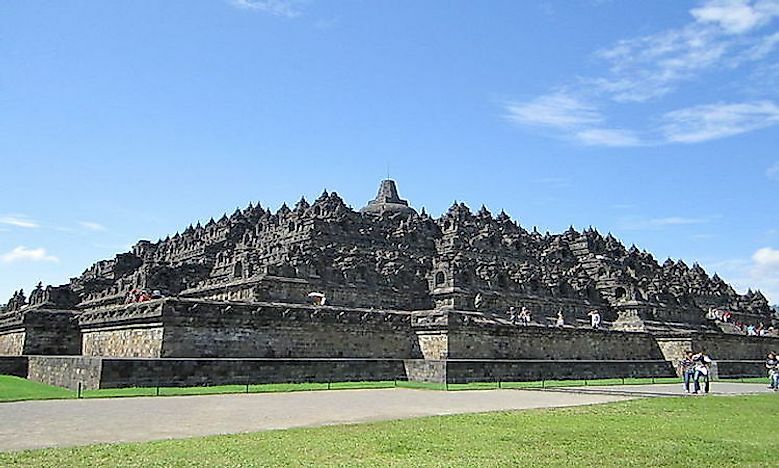 Borobudur is the largest Buddhist monument and temple in the world. 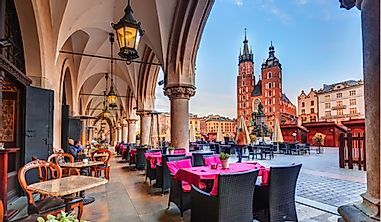 Several renovations throughout the centuries have been important in the preservation of the monument with the most extensive renovation in the late 20th century. 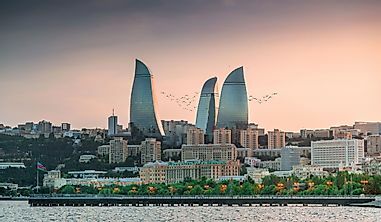 The monument has been identified as a UNESCO world heritage site making it a major tourist attraction. 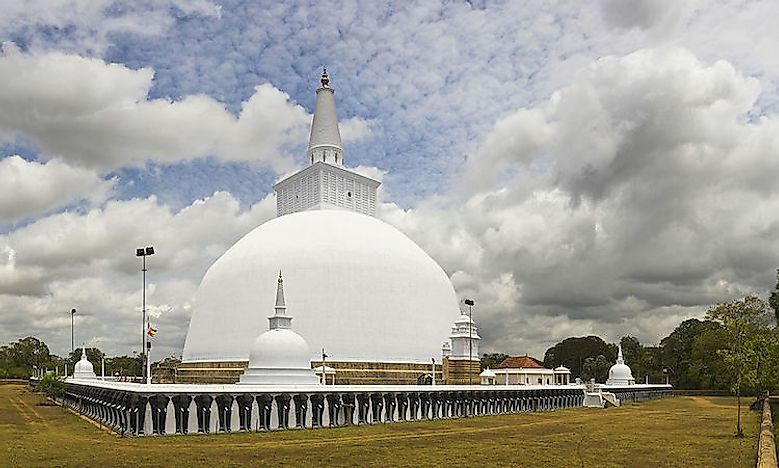 The stupa was built by King Dutugemunu in around 140BC. The stupa is one of the largest monuments in the world at 103m with a circumference of 290m. The stupa is sacred among the Buddhists in the world. The monument existed as a ruin during the 19th century and was renovated in the 20th century.